Everything is better with balsamic, right? 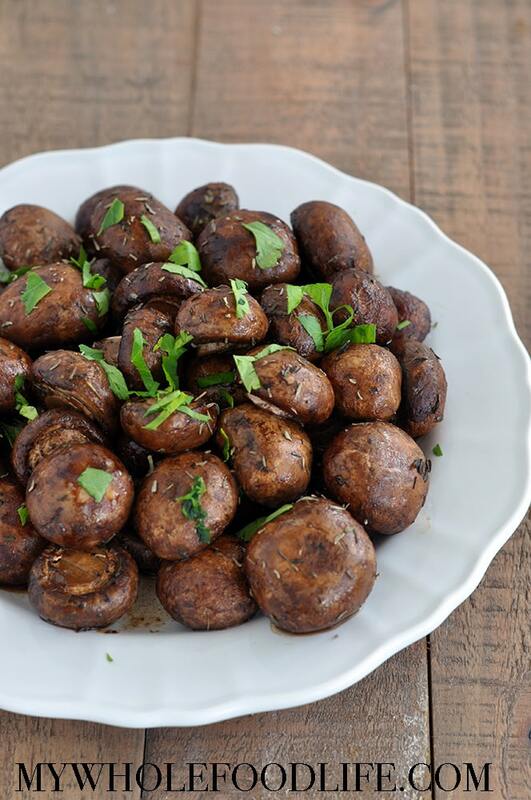 I love these Roasted Mushrooms with Thyme and you will too. They are full of flavor and easy to make. This simple and quick side dish is full of flavor. Vegan, gluten free and paleo! Mix all ingredients in a mixing bowl and stir well. Transfer to a lined baking sheet and bake for 25-30 minutes. These should keep in the fridge for about 4 days. Enjoy! Hi Melissa, I just came across your website and have been admiring all your delicious recipes! One question, do you have the nutritional information for your recipes? I am interested in making a few of them but I want to know the calories/serviing in some of the items. Thank you!